The urbanization of the streets around the Born Market has the goal of responding to the needs and potentials that the renovation of the building as a cultural center will generate around it. 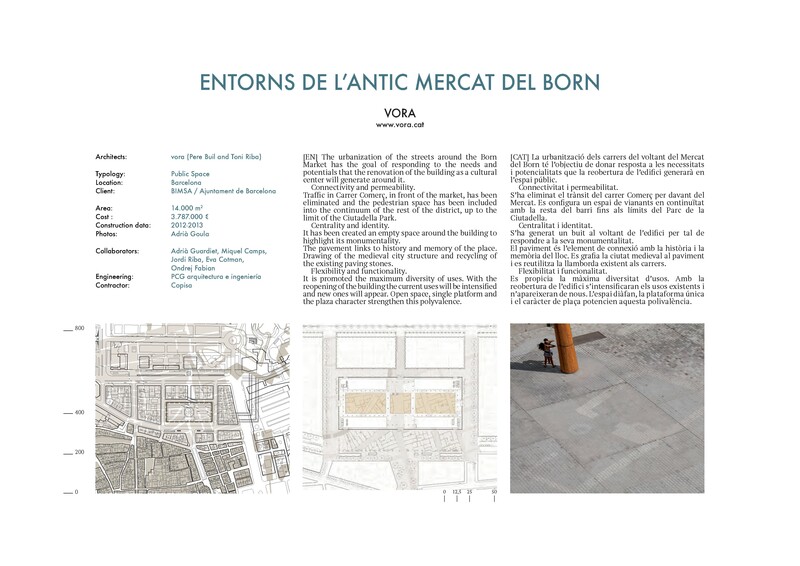 Traffic in Carrer Comerç, in front of the market, has been eliminated and the pedestrian space has been included into the continuum of the rest of the district, up to the limit of the Ciutadella Park. It has been created an empty space around the building to highlight its monumentality. The pavement links to history and memory of the place. Drawing of the medieval city structure and recycling of the existing paving stones. It is promoted the maximum diversity of uses. With thereopening of the building the current uses will be intensified and new ones will appear. 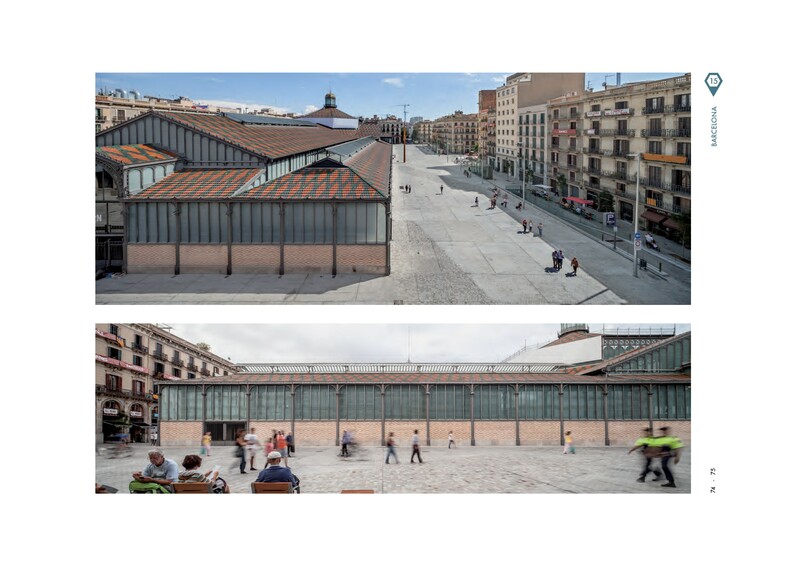 Open space, single platform and the plaza character strengthen this polyvalence.